Roush Yates Manufacturing Solutions is a precision CNC parts manufacturing organization with expertise in multi axis machining of metal and plastic parts with complex geometries. We produce machined parts for the automotive, aerospace, military and industrial industries. Our manufacturing and quality management systems are dedicated to exceeding our customer’s expectations through the continuous improvement of our processes, procedures and through the use of state-of-the-art technologies. This commitment is endorsed and implemented by all employees throughout the organization. 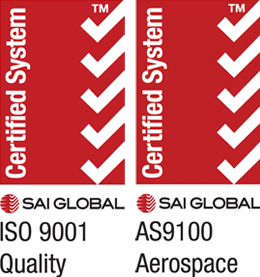 Roush Yates Manufacturing Solutions quality management system is certified to ISO 9001:AS9100 Rev D standards. The aerospace focused quality system sets an impeccable standard for us to achieve the highest levels of quality assurance for our customers. Our quality laboratory is equipped to provide thorough part inspection and documentation to support our customer’s expectations. Our fleet of fully calibrated equipment includes; Nikon 10.10.8 and Brown & Sharp CMM, Faro Scanner, a variety of optical magnification systems including Alicona InfiniteFocus (3D Vision system), and Starrett hand measurement devices and metrology inspection equipment. We can design your manufacturing plan from prints or solid models supplied in most file formats. Our experienced personnel will assist you with any questions concerning our capabilities. All customer projects are held in complete confidence. Fast turn around and expedite programs are available.